Gina Meyer Pruitt has distinguished herself as a performer, composer and dedicated educator and is accomplished as both a classical and jazz pianist. She gave her first performance at age four and was soloist at age twelve with the Boise Community Symphony. She has studied with internationally acclaimed artist teacher John Perry, Gregory Allen, Nancy Garrett, Nellie Tholen and she has coached with William Doppman, David Birge and Leon Fleischer. Her father, Carroll Meyer was her mentor in the early years and remains her greatest musical influence. Ms. Pruitt has been the winner of numerous awards including the Idaho Arts and Humanities Trust Fund Award, semi-finalist in the Ima Hogg National Young Artist Audition, honorable mention in the American College of Musicians National Recording Competition and was Northwest regional winner of the Music Teachers National Association Collegiate Competition. She has won numerous other competitive scholarships and awards including Mu Phi Epsilon, performance scholarships to Lewis and Clark College and University of Texas, concerto competition at Lewis and Clark College and National Guild of Piano Teachers performance scholarships. She has produced award winning students including winner of the Artists of the Future Competition and soloist with the Beach Cities Symphony in Los Angeles and Southern California Bach Festival winner. Many of her students have gone on to careers as professional musicians. 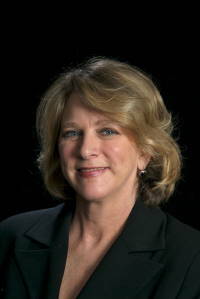 Ms. Pruitt has served on judging panels for national competitions such as the Fort Collins Symphony, Jefferson Symphony Young Artists and MTNA regional competitions. In her thirty year performing and college teaching career she has presented numerous solo and collaborative faculty recitals, performed in faculty jazz combos, and taught at summer music camps. She is in demand as a presenter to music teacher groups on her methods for teaching jazz improvisation. She has performed extensively throughout the western states and has lectured recently at the University of Oregon, University of Wyoming, Metro State College in Denver, Marylhurst University, and the Colorado State Music Teachers Convention. Jazz performance credits include the Gene Harris Jazz Festival, Greeley Jazz Festival, Berkeley Jazz Festival, the Boise Performing Arts Series, First Thursday concerts at Sherman Clay in Portland, Artists after Hours at Pittock Mansion, Jazz on the Green in Sun Valley, Boise Summerfest Concerts, “Music in Boiseʼ TV show and others. She has appeared with jazz luminaries Red Rodney, Louis Bellson, Bill Watrous, Carl Fontana, Bunky Green, Gene Harris and Don Lamphere Her jazz trio performed for several years at the prestigious Adams Mark Hotel in Denver. Ms. Pruitt has created numerous published materials including several improvisation methods. Her new text, “Beginning Jazz Keyboard Tutorialʼ has recently premiered at the University of Oregon. Several of her publications are currently being distributed by Alberti Publishing, Music Matters Blog: “ Gina Pruittʼs compositions receive high praise for their wit, creativity and pedagogical value”. She was commissioned to write a medley of Duke Ellington arrangements for the Lafayette Chorale in Colorado in 1999.CD credits include “Bopspace”, “Go in Peace”, “Extraordinary with Kristin Brown”, “Denver Jazz Project” and “Christmas Now and Then”. She has taught on the music faculties of Boise State University, Colorado Christian University, California State University at Dominguez Hills, was offered a position at University of Colorado/Denver, was graduate assistant at the University of Texas at Austin and is a lifetime California Community College Instructor credential holder.